At 20:30 on Thursday 14 April 2016, the temperature in YITYNR Ville is 80.7°F (27.1°C) under mostly clear skies and a dew point of 43°F (6°C). It appears that Warszawa and I have very similar climate tastes, at least this time of year. On his fictional forecast, it looks to be about 20°C where I live. As of 11:00 on Friday 15 April 2016, the temperature in Y Ville is 85.3°F (29.4°C) under partly cloudy skies. Cloud cover is currently 37%, and the dew point is 46°F (8°C). Thunderstorms are expected tonight, and the forecast calls for 0.5" (13 mm) of rain. A cool morning (13.8˚C) but warming up quickly aided by light easterly winds. Sea breeze came in through the city at around midday. I am in misery here in Maryland (near D.C.) All year the humidity is high, I live on the Chesapeake Bay. I want to move. (mentally , spiritually, and physically) if I lived in a climate more compatible with my physical self. Thats how I found this forum today I was looking for humidity data in all the states. 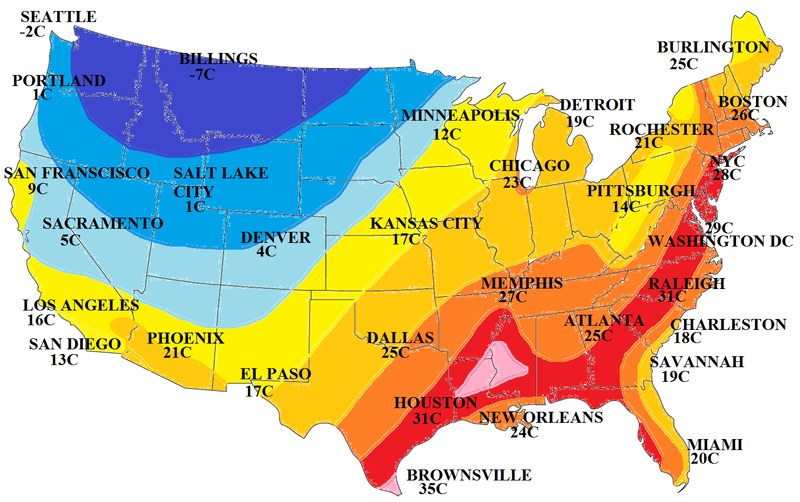 Which climate do you like? we can help you finding it! Uh? Is this a typo or a joke? LOL.